DAVID LE/Staff photo. 5/23/15. 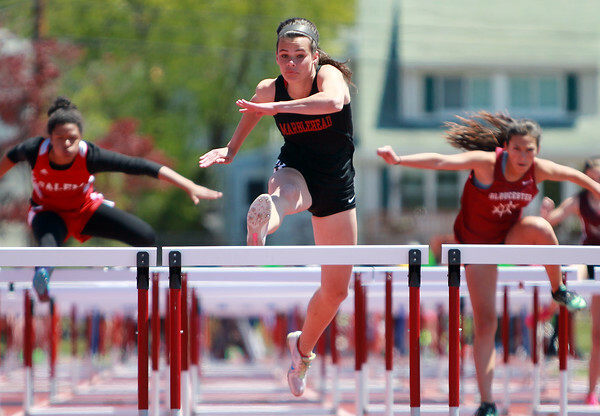 Marblehead senior captain Carlyn McGrath leaps over the last hurdle and sprints towards the finish line to easily win her heat of the 100m hurdles.